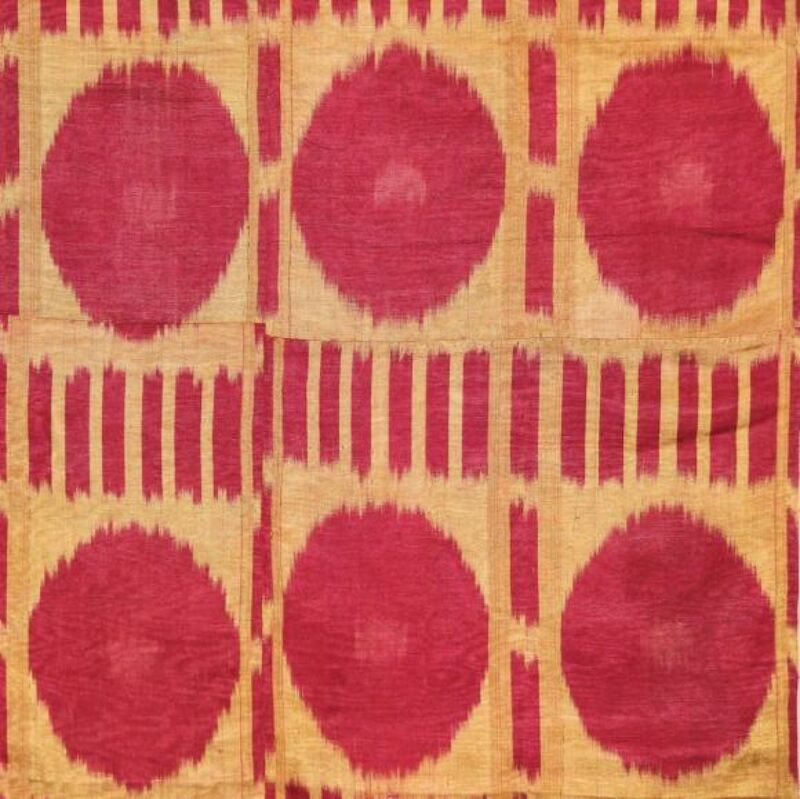 A late 19th/​early 20th cen­tu­ry silk ikat from Uzbek­istan (Bokhara?) 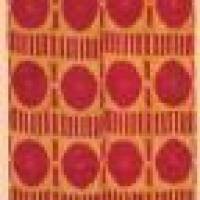 with a yel­low ground pat­terned with a rasp­ber­ry pink col­ored abstract flo­ral (pop­py?) design with ver­ti­cal bars above and below. 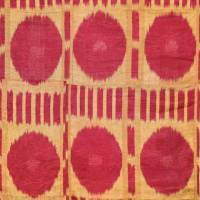 Ikat designs are meant to be ​“evoca­tive” rather than ​“descrip­tive.” While designs were bor­rowed from rugs and Suzani, in ikat they became more abstract­ed and dif­fi­cult to identify.